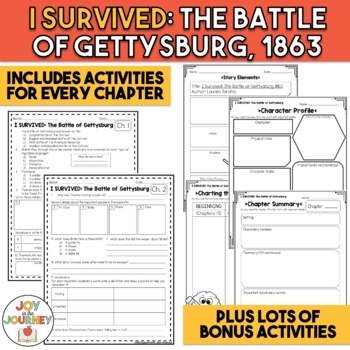 This print-and-go resource is full of activities to supplement the novel I Survived The Battle of Gettysburg, 1863 by Lauren Tarshis. This download includes EVERYTHING YOU NEED to teach the book. 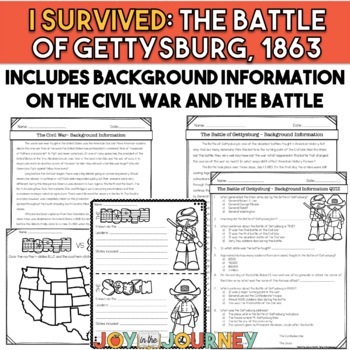 You simply need to print these pages and watch your students' comprehension soar as they engage with the text in a fun and meaningful way. Simplify your lesson planning today! 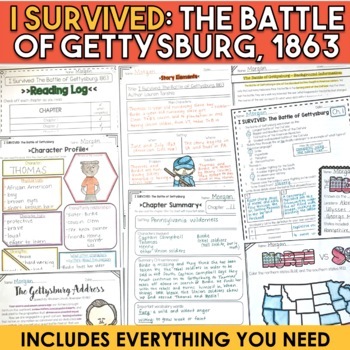 I have included three nonfiction articles to build background knowledge about the American Civil War. Each article has an activity or quiz to assess comprehension. 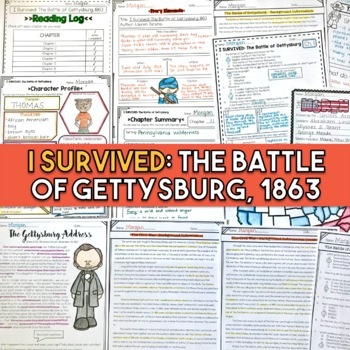 The articles discuss The Civil War, the Battle of Gettysburg, and the Gettysburg Address. As the students read the novel, there are many graphic organizers for them to fill in, as well as chapter quizzes for each of the 16 chapters.